The new wedding season trends are just around the corner and we understand what a struggle it is to decide your outfit! So here we are at your rescue with the ultimate wedding season trends straight off the runway. So, get ready for the sensational collection which is surely making you the center of attention at the wedding! If you haven’t seen this trend being replicated in all possible forms then honestly, are you living under a rock? The off-shoulder trend stepped in and doesn’t seem to leave us. Not only has it stayed but has gotten versatile over the time. Try an off-shoulder lehenga, suit or Anarkali in pastel or bold colors, whatever suits you best. Who said only shades of red and pink are wedding colors? Or that wedding = really bright colors? We say, no. Dress in a gorgeously embellished white outfit and make those heads turn. Pair with a statement jewelry and bold eye makeup. You can wear this royal and glamorous outfit on any of your pre-wedding functions to stun everyone with your great taste. 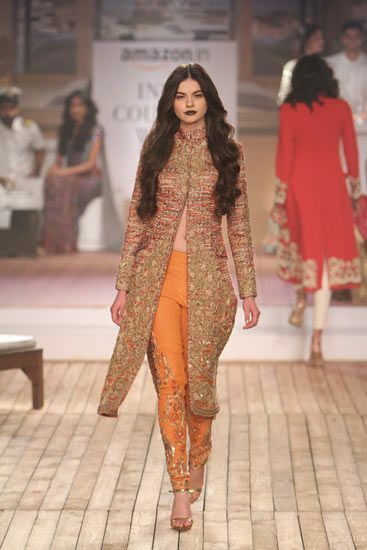 Choose a heavily adorned jacket with a lehenga, palazzos, tulip or cigarette pants. Make sure you keep your outfit simple if your jacket is heavily embellished. When it comes to choosing the fabric for your long jacket, you can opt for velvet or silk. Pair your outfit with statement earrings and classy makeup. 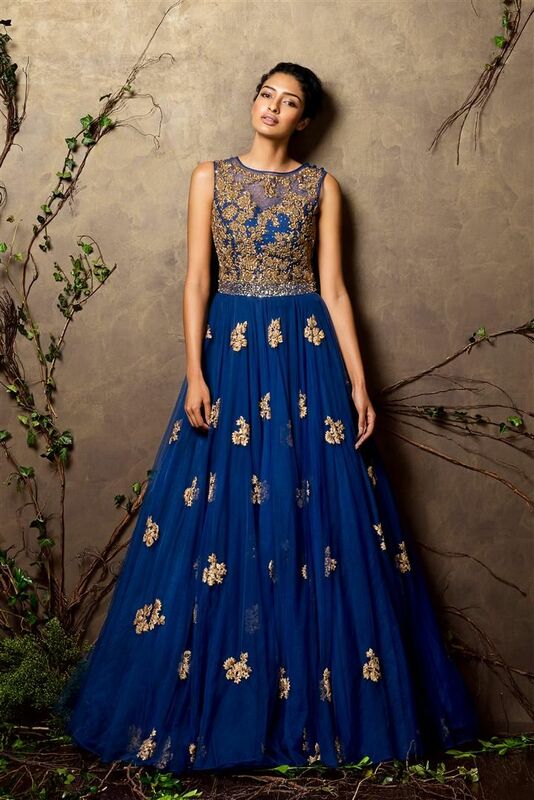 The Anarkali suit is one of those styles which was recently brought back to the Indian fashion scene. It is an extremely elegant style and plus, according to fashion experts, floor length dresses make you look taller and slimmer. Opt for dark colors such as Midnight blue, phthalo green, Burgundy or Maroon. The next wedding season trend is to go Indo-western! 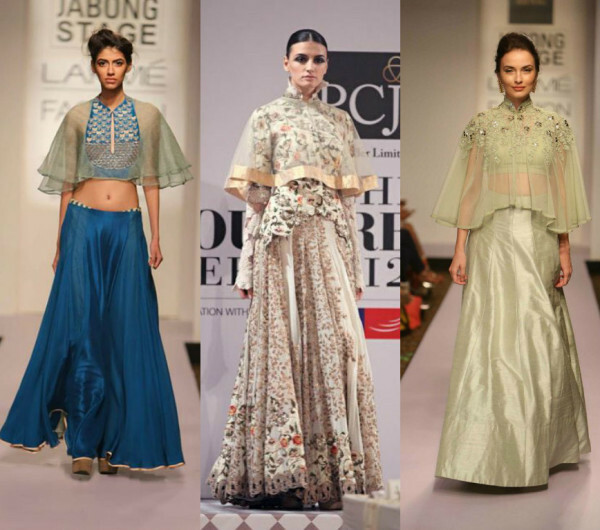 You could pair a bare crop top with a heavily ornamented lehenga or vice-versa. It is a beautiful blend of contemporary and traditional design. This outfit is easy but is definitely a head turner. Colors to try are deep hues like black, peacock blue or pastels like peach, lilac. We’ve seen this trend, you’ve seen this trend, it’s basically everywhere. Flaunt your shoulders in this elegant princess look and opt for some glitter in the outfit and go extra with long sleeves. Select from the season’s colors and keep those stares coming! Oh, who doesn’t love these comfy pants? Pair them with a long fancy jacket or a high split suit showing off that midriff. If simple is your style then this wedding season trend is going to be perfect for you. You can move around easily and even groove to the wedding dhol! Well, can you ever go wrong with the classic gown? 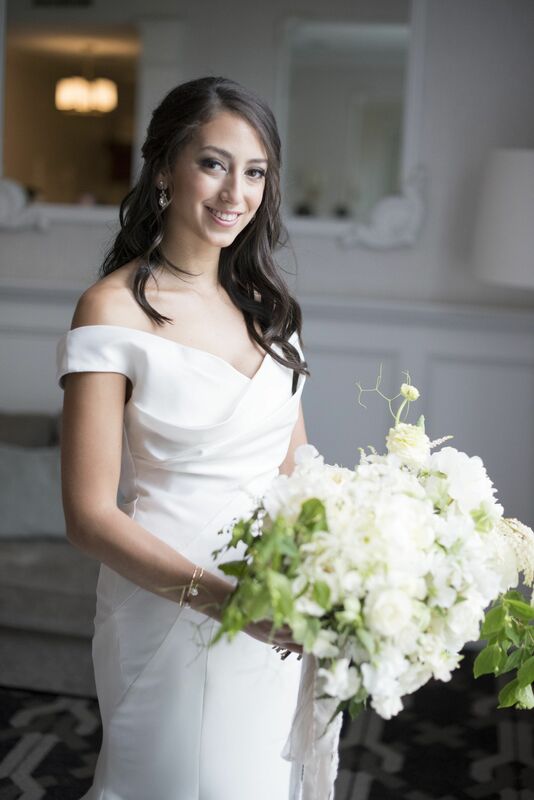 An elegant gown is a classy style with clean lines and simple details. Gowns are perfect for the hourglass figure or a column shape figure. Pastels and subtle dark colors are the season’s hues so don a graceful gown and sway into the crowd. New in the hood, this style is to die for. Whether it’s a long cape, short cape or embellished cape, you’ll definitely find the right cape wedding dress that will satisfy your taste. You can opt for subtle or dark colors, pair with a lace or mesh cape. Plus, this trend is an easy look to pull off. Look different, look beautiful. All said and done, nothing looks more exquisite on a woman than a saree. Trends have come and gone but the timeless saree has stayed but what has changed is the way of styling it. Gone are the days of loud attires, opt for a simple saree with an intricately designed blouse and be the queen of all wedding season trends. So here are some of the hottest bridal fashion trends of this season that you must try for the wedding season. Whether you want to keep your outfit low-key or go all out and make a splash in style, there’s always a designer who can cater to your taste and style. Cast an eye over our list and thank us later for all the compliments!